Recently Attorney General Jeff Sessions announced that that the Department of Justice was disbanding the National Commission on Forensic Science and, instead, returning complete control of forensic science over to local law enforcement. In the same vein, Sessions suspended the department’s review of closed cases for evidence of any inaccurate or unsupported statements by forensic analysts; statements that have arguably played a pivotal role when it comes to hair and fiber analysis, handwriting identification, fingerprinting analysis, and more when it comes to the criminal justice system and convictions. With this one action, Sessions has effectively halted years of progress that D.N.A. exoneration cases have made in exposing deep flaws in our criminal justice system’s reliance on forensic science as it is used in the conviction process. Yet perhaps this comes as no surprise, as Sessions background is that of a prosecutor who has, historically, advocated for more forensic science-based evidence versus improved accuracy. Problems associated with forensic science lie in the exclusive control that both law enforcement and prosecutors have over it. Due to this inherent bias, its legitimacy has long been rightfully questioned, and the pervasive pattern of flaws found in the forensic science process have been nothing short of shocking. For example, years ago, the F.B.I concluded that bullet-lead match examinations were essentially meaningless. In addition, a report done by the National Academy of Sciences effectively raised concerns over every familiar staple of forensic science, finding most of them to be scientifically unsound. As a result, the Justice Department initiated its review process of thousands of cases, and in 2015, the F.B.I announced the initial findings: 96 percent of cases had involved erroneous testimony. 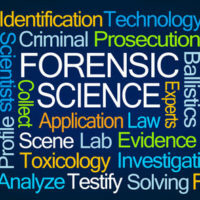 Yet, in spite of more and more reports released affirming problems previously discovered with how forensic science is gathered and used, the official adoption and incorporation of these findings by the criminal justice system continues to be thwarted, sending the message that the final arbiter of what is good versus bad science often rests with the courtrooms, not the laboratories. Ultimately, in order to ensure that it isn’t inherently biased and used to promote wrongful convictions, there needs to be some separation between forensic science-based evidence and law enforcement, arguably by establishing a national, independent agency. Because this was so difficult to attain, the compromise was this partially independent National Commission on Forensic Science that Sessions just disbanded, the loss of which “is no trivial matter” at this point in history. Just in the two years since it was established, the commission already drafted 43 standards related to improved-upon forensic science techniques in order to promote both integrity and accuracy. If you are concerned that you may be the victim of a wrongful conviction and/or a forensic science-based mistake, you need to speak with a criminal defense attorney right away. Contact the office of Phillip J. Murphy today for a free consultation with criminal defense attorneys who have been serving clients throughout New York and New Jersey for more than 25 years.